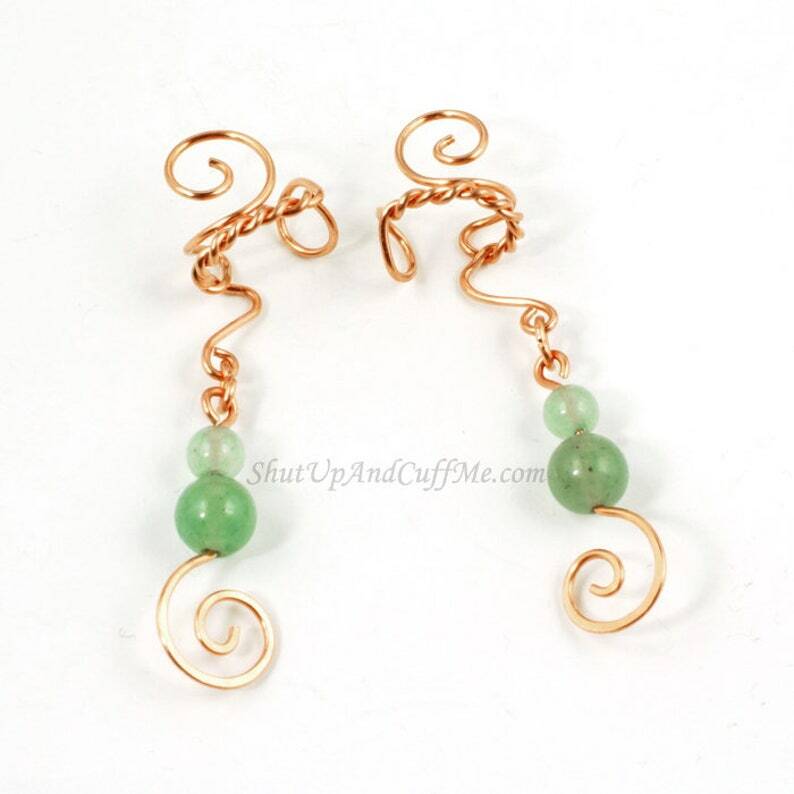 Green Aventurine rounds and copper spirals hang from handmade copper ear cuffs. There is only one pair of these available. 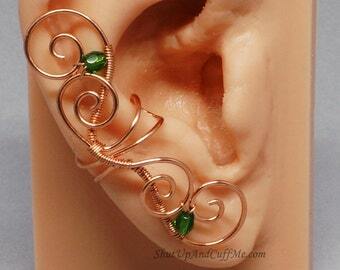 You will received the exact pair that is shown in the photos. 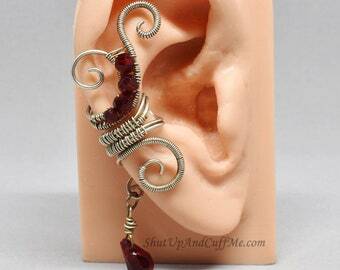 These ear cuffs are approximately 1 3/4" (44mm) from the top of the spiral on the cuff portion to the bottom of the spiral on the charms. 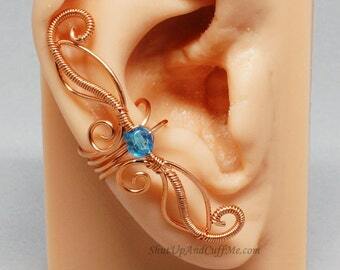 Wire used is natural, uncoated copper.